Aurora Cannabis Inc. says it expects to report second-quarter revenue of between $50 million and $55 million and positive earnings growth. Analysts had expected revenue at the marijuana producer to total about $67 million for the quarter that ended Dec. 31, according to Thomson Reuters Eikon. Aurora says the result for the quarter is up from $11.7 million in the same quarter a year ago and better than the $29.7 million for the quarter that ended Sept. 30. The company says it now has clarity on revenue growth for all market segments — Canadian medical, Canadian consumer and international medical — to deliver about 68 per cent revenue growth over the first quarter, which would be above the average of 44 per cent growth over the last six quarters. Revenue growth, expenses and production ramp-up give it confidence to achieve positive earnings before interest, taxes, depreciation and amortization (EBITDA) in the quarter, said Cam Battley, chief corporate officer. "Part of the reason for providing guidance is that we sense it's been challenging for analysts, institutions and others to project future revenues in this sector with precision," he said in an email Tuesday. "This is evidenced by the very wide range of analysts' estimates in recent quarters." 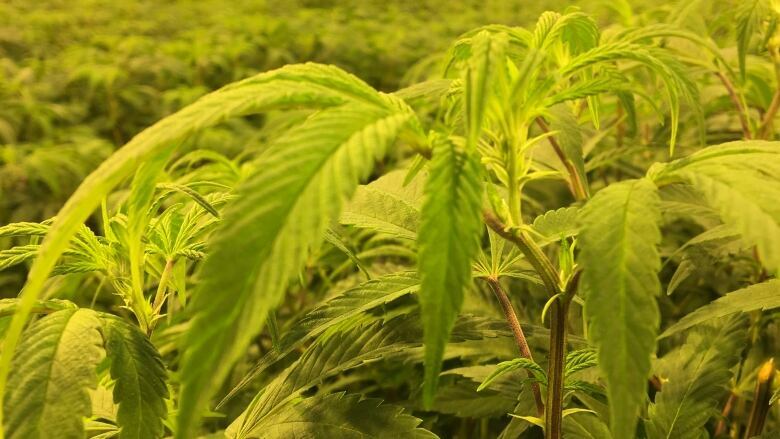 Revenue increases are driven by the start of the adult consumer use market in Canada in October and shipments of medical cannabis to Aurora's base of roughly 71,000 patients in Canada. The company says its production capacity is now about 100,000 kilograms per year, up from 70,000 in November. Annual production capacity is expected to grow to 150,000 kg by the end of the current quarter, with Aurora scheduled to release is full quarterly results on Feb. 11. Aurora Cannabis shares lost 31 cents or 4.4 per cent to $6.68 in Tuesday trading on the Toronto Stock Exchange.